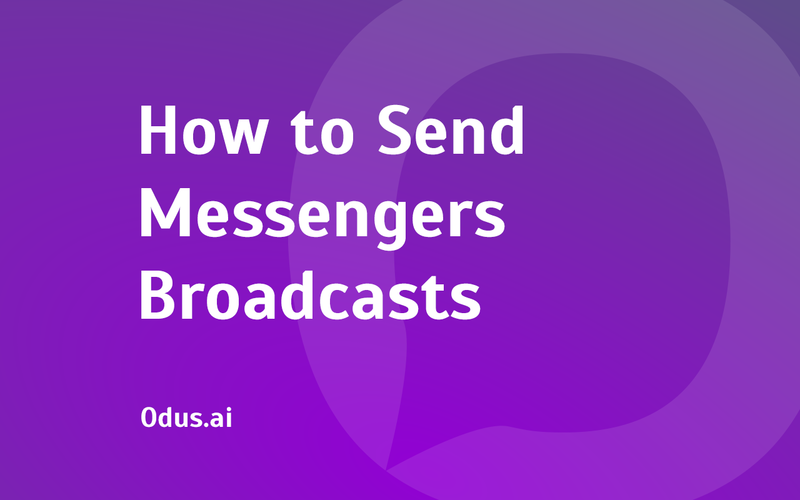 One of the best functions of assistants and bots in instant messengers is the ability to create broadcasts. Conversion to an open or click-through there is 4-10 times higher. It is a solid reason to start using such a tool. There are links confirming my words at the end of this page. Odus can also do such broadcasts. Let&apos;s look into how it works. A message can be sent instantly. To do so, just go to the Broadcast section and fill out several fields. Send a message to all messengers together, or do it separately. Send several messages in a row to one mailing list. Send different types of messages in the mailing list: text, photo, video, audio. 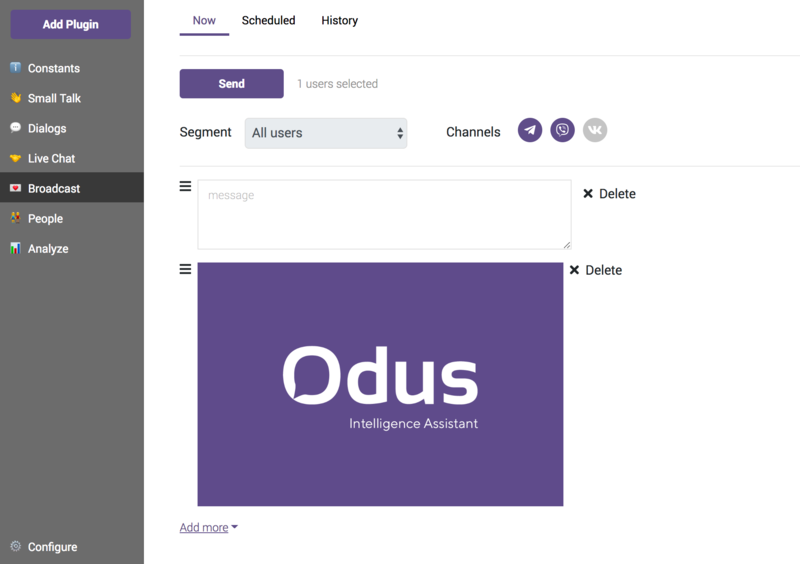 Send messages to individual user segments. For maximum automation of your marketing you need to use scheduled message sequences. It is possible. Just go to the Scheduled section. Here you have access to the whole host of functions, just like in instant mailings. But now you can schedule the message to be sent by date or select a time delay, after which the message will be sent to the user provided it hits the selected customer segment. After sending any message it goes to the History section where you can view the delivery, open and click-through rates statistics. If you need the customer to receive a personal offer message following the first communication session with the bot, set up sending a message with a 1-2 hour delay. If there is any change in your company – send an instant message to all subscribers of your bot. If you want to congratulate a customer on a holiday, schedule a message to be sent on a specific date. For example, on his birthday. By combining and rearranging these function, you can create an automated sales funnel in instant messengers without using complex tools! P. S. Subscribe to our blog and watch for updates. We share the best experiences and practices from our experts so that you could develop your business faster.